Buying a new home can be exhilarating. But going through the paperwork needed for the Fairfax, VA home buying process can give anyone a headache. At Fairfax Mortgage Investments, we can do that for you. Fairfax Mortgage Investments provides only the best of services for Fairfax, VA first time home buyers. We make sure to go through the paperwork for you, so you don’t have to do it. We make sure to verify it with you, making the process less stressful. Getting in contact with Fairfax Mortgage Investments is easy. Just say the word and we guarantee that we will be with you through the entire home buying process. For Fairfax, VA first time home buyers, you might want to consider getting an FHA loan. They are insured by the Federal Housing Administration while simultaneously working as a loan. FHA loans tend to be cheap, with little down payment and low interest rates. USDA loans have been one of the most unknown kinds of loans out there. They allow people to live in rural areas with no down payment and low interest at a fixed rate. This type of loan is perfect for low income residents in Fairfax, VA.
VA home loans are part of a federal program created by the Department of Veterans Affairs. They allow veterans, soldiers, and widows to purchase a home with no down payment, no requirement for mortgage insurance, and low interest rates. 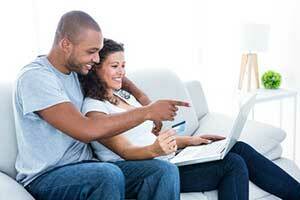 This type of loan can give them the home of their dreams cheaply. This clause centers around buying a home in need of repairs. It allows the cost of the renovations to be mixed with a single mortgage, effectively lowering its cost. FHA Section 203(k) places money in an escrow account, ready to be given when the renovations are complete. Fairfax Mortgage Investments, you will find, is very much capable with guiding you through the Fairfax, VA home buying process. We do everything with you, from credit rescoring to program applications. Having over 30 years of experience, we know how the home buying process works and will gladly help you through with it. Firstly, estimate the cost of the Fairfax, VA home, its housing costs, Fairfax title insurance, and closing costs and make a budget from those numbers. Then find a realtor and prepare the right documents to show them, like pay stubs, bank account statements, W-2s, tax returns, statements from current loans and credit lines, and the names and addresses of previous landlords. After that, let Fairfax Mortgage Investments take care of everything!